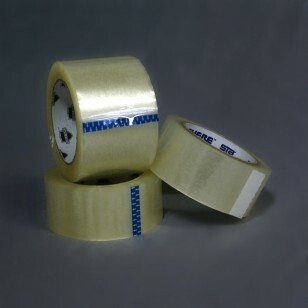 This tape with acrylic adhesive is ready to do the job in colder environments. More resistant to cold than tapes with hot melt adhesive, these tapes can be applied in temperatures lower than 60 degrees Fahrenheit. Once the tape is applied, it can be counted on to stay in place in temperatures as low as 32 degrees Fahrenheit. The perfect product for products kept in refrigerated storage. This tape will keep your packages sealed when the temperate drops.